Genuine OEM Canon Waste Cartridge. Canon part number: 1320B006AA, 1320B006. Waste Cartridge compatible with Canon imagePROGRAF iPF8000, iPF8300, iPF8400, iPF9000, iPF9400. Compatible Canon Ink Cartridge, Cyan, 3,000 page yield, High Capacity. Replaces Canon part number: PFI-704C, 3862B001AA. Compatible Canon Ink Cartridge, Magenta, 3,000 page yield, High Capacity. Replaces Canon part number: PFI-704M, 3863B001AA. Compatible Canon Ink Cartridge, Yellow, 3,000 page yield, High Capacity. Replaces Canon part number: PFI-704Y, 3864B001AA. Compatible Canon Ink Cartridge, Black, 3,000 page yield, High Capacity. Replaces Canon part number: PFI-704BK, 3861B001AA. Compatible Canon Ink Cartridge, Photo Cyan, 3,000 page yield, High Capacity. Replaces Canon part number: PFI-704PC, 3865B001AA. Compatible Canon Ink Cartridge, Photo Magenta, 3,000 page yield, High Capacity. 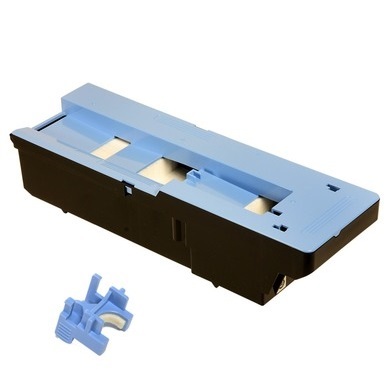 Replaces Canon part number: PFI-704PM, 3866B001AA. Compatible Canon Ink Cartridge, Green, 3,000 page yield, High Capacity. Replaces Canon part number: PFI-704G, 3868B001AA. Compatible Canon Ink Cartridge, Red, 3,000 page yield, High Capacity. Replaces Canon part number: PFI-704R, 3867B001AA. Compatible Canon Ink Cartridge, Blue, 3,000 page yield, High Capacity. Replaces Canon part number: PFI-704B, 3869B001AA. Compatible Canon Ink Cartridge, Matte Black, 3,000 page yield, High Capacity. Replaces Canon part number: PFI-704MBK, 3860B001AA. Compatible Canon Ink Cartridge, Gray, 3,000 page yield, High Capacity. Replaces Canon part number: PFI-704GY, 3870B001AA. Compatible Canon Ink Cartridge, Photo Gray, 3,000 page yield, High Capacity. Replaces Canon part number: PFI-704PGY, 3871B001AA.